From Geneva airport, take the train to Lausanne: Do not consider taking a taxi from here unless you plan to directly wire your salary to the taxi company. Instead, take a left immediately after customs, without exiting the airport. 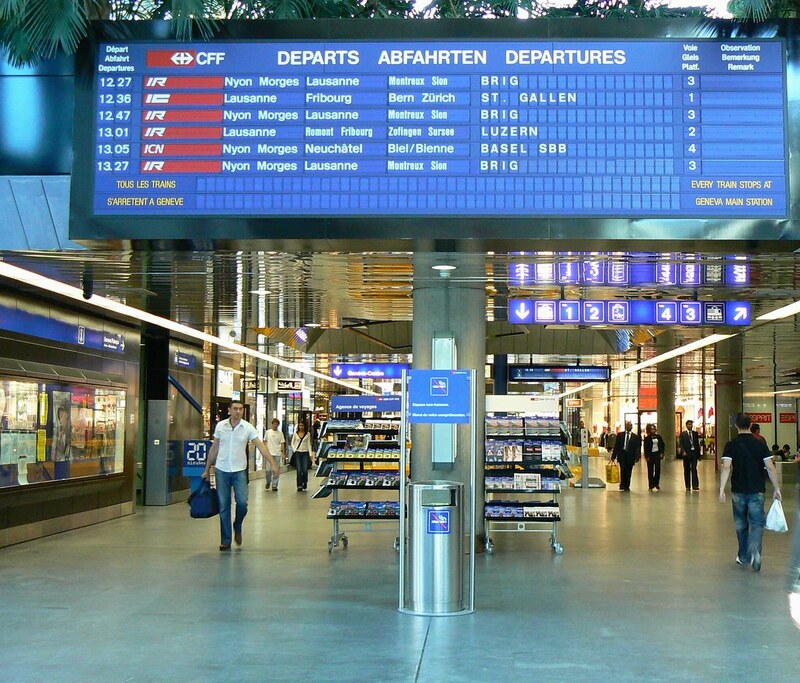 At the end of the hallway, you will reach the train station (indicated by “SBB CFF FFS”, see image below). You can take a ticket just before the signboards, or online by clicking here, to Cery-Fleur-de-Lys. Take any train to Lausanne (about 45 minutes trip), sit on the right side of the train and enjoy the view…. Then follow the instructions below. From the Lausanne train station (a.k.a. 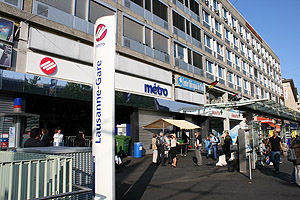 “gare”), take the subway to Lausanne Flon: Exit from the Noth side of the station (opposite side from the lake). Cross the street and enter the subway station (a.k.a. “Métro”, see image below. There is only one, you cannot miss it…). Take the subway direction “Croisettes” and exit at “Flon” (1 stop). From Lausanne Flon, take the train “LEB” to Cery-Fleur-de-Lys: Direction Echallens (do not take the (very rare) direct train to Echallens…) and exit at “Cery-Fleur-de-Lys” (5th stop, indicated by a red circle on the map below). From the station, cross the railway and walk up the hill (5 minutes walk). Follow the asterisks on the map below. From the highway: Exit at “La Blecherette”, exit number 9, North of the highway. Take the first road West (“Route du Mont”), that indicates “Echallens, Prilly” shown on the right of the map below. For about 1km, you will cross some fields and the Center for Psychiatric Neurosciences is the first group of buildings on your right. You can park either in the south parking lot or in the north parking lot (red circles) and use the map below to find us.